Sunday 27th July 2014 saw the wedding of the very first Samaflora bride. Helen chose to have her bouquet, buttonholes and bridesmaids hair flowers made using our flowers, and they looked stunning. 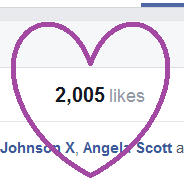 Wow, we have now reached 2000 likes over on the Samaflora page! We want to say a big thank you to each and every one of you that have liked the page, and taken the time to share it too. Did you all keep an eye out over on Samaflora facebook for the start of Christmas?? We have some stunning flowers just launched especially for Christmas, so far we have poinsettia, Christmas roses, mistletoe and holly. They are truly beautiful. Make sure you keep an eye on Samaflora for more Christmas goodies coming soon! A little birdie just whispered in my ear, that it will soon be time for that "C" word! Keep your eyes peeled on Samaflora facebook very soon for more details.